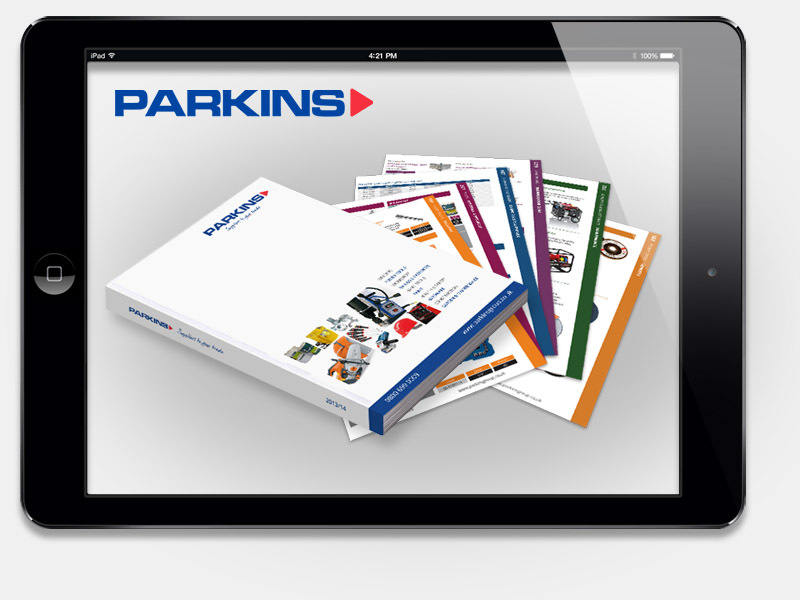 Parkins required a reliable and preferably local company, to create their first new catalogue in more than 20 years. This challenging project required close collaboration with the client. With no existing catalogue, it was necessary to piece together a new product database and catalogue numbering system, before turning these into spreadsheets. This information, along with multiple product charts, thousands of processed images, adverts and additional company information, was then laid out in colour coded catalogue sections Following extensive proofing, the many pages were then collated and supplied ready for printing.